Online shopping can be risky business, and what happened to this woman definitely exemplifies that. 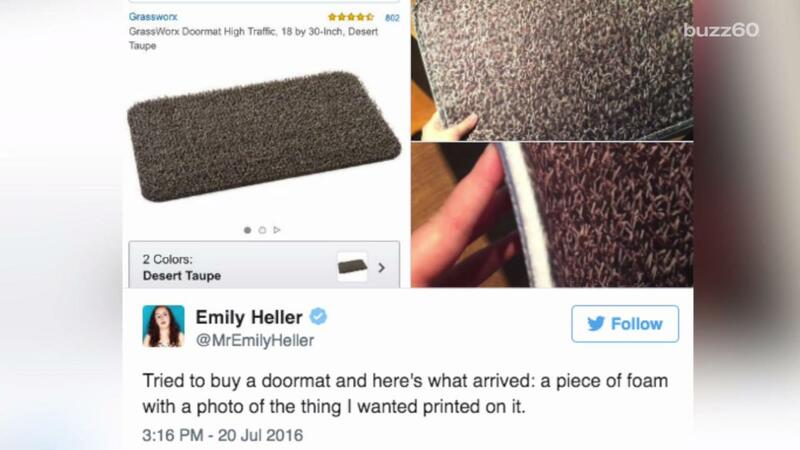 What arrived instead of an actual doormat was a piece of foam with a photo of the doormat printed on the front. I said no. Didn't wait to hear back, and filed an A-to-Z claim with Amazon and got a full refund in store credit.